Hierarchical multi-label classification is a variant of traditional classification in which the instances can belong to several labels, that are in turn organized in a hierarchy. Existing hierarchical multi-label classification algorithms ignore possible correlations between the labels. Moreover, most of the current methods predict instance labels in a “flat” fashion without employing the ontological structures among the classes. 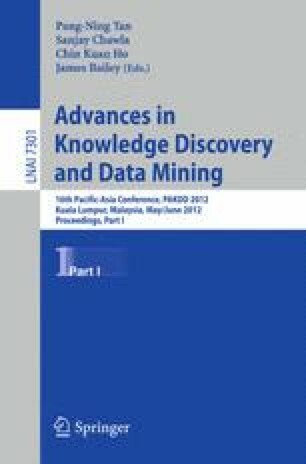 In this paper, we propose HiBLADE (Hierarchical multi-label Boosting with LAbel DEpendency), a novel algorithm that takes advantage of not only the pre-established hierarchical taxonomy of the classes, but also effectively exploits the hidden correlation among the classes that is not shown through the class hierarchy, thereby improving the quality of the predictions. According to our approach, first, the pre-defined hierarchical taxonomy of the labels is used to decide upon the training set for each classifier. Second, the dependencies of the children for each label in the hierarchy are captured and analyzed using Bayes method and instance-based similarity. Our experimental results on several real-world biomolecular datasets show that the proposed method can improve the performance of hierarchical multi-label classification.